On the weekend, I ran 12km at my fastest pace yet — 6:12 minutes/km. I’m a bit proud of myself! I have been running at a pace of 6:30min/km for a really long time now. Admittedly, it’s pretty slow. It’s OK. I don’t push myself too hard. I don’t want to hurt myself. 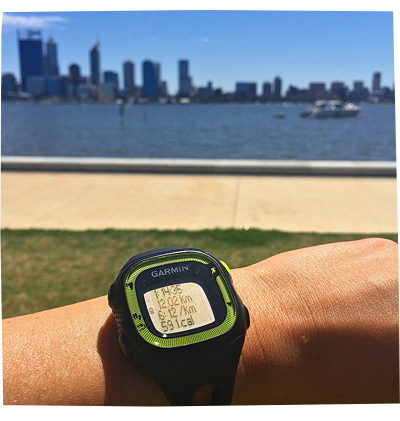 I know I can run a distance of 12km or longer at that pace… and I am still able to function perfectly well for the rest of the day – this is quite important to me. I don’t have time to take a nap in the middle of the day! But I seemed to be stuck at that pace. Which annoyed me. So I decided to try out some interval training, where you run for a bit and walk for a bit. Most people advised me to start slow and easy. 2 minute run, 1 minute walk. Or 5 minute run, 2 minute walk. However, I decided to try 30 second sprint training instead. It’s a bit intense. And they say that you should consult your doctor before you try. I thought I’d be fine. I do lots of sprinting when I play indoor netball. And I run around until I can’t breathe and my face is red and pounding and I want to throw up. I’m used to doing a few sprints here and there. So I did this sprint training a few times this week and it was sooooooo much fun! I enjoyed it so much because it was such a thrill to move my whole body so quickly. It was also humbling because I realised how quickly my legs just gave up. I can sprint really fast ONCE, then my next sprint is slower, then each sprint after that is slower still, then I’m a quivering wreck because I’m so tired. I can’t do it for very long. I can only do about 6 – 8 sprints. But I think it’s really improved my running. And my netball too. The flow on results have been really impressive for me.